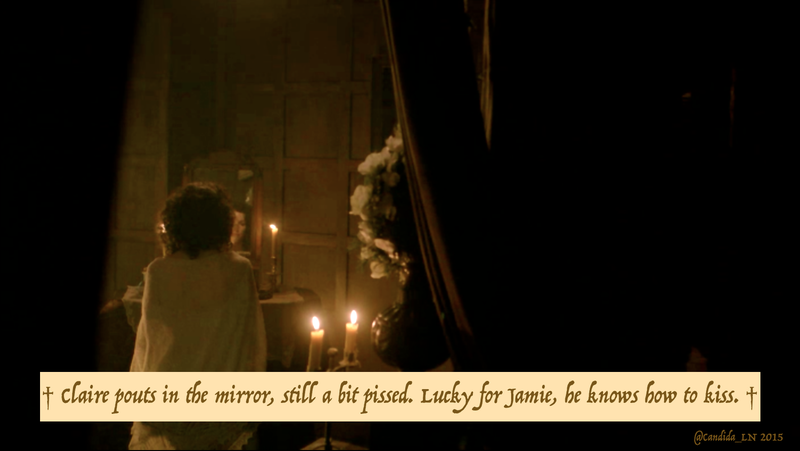 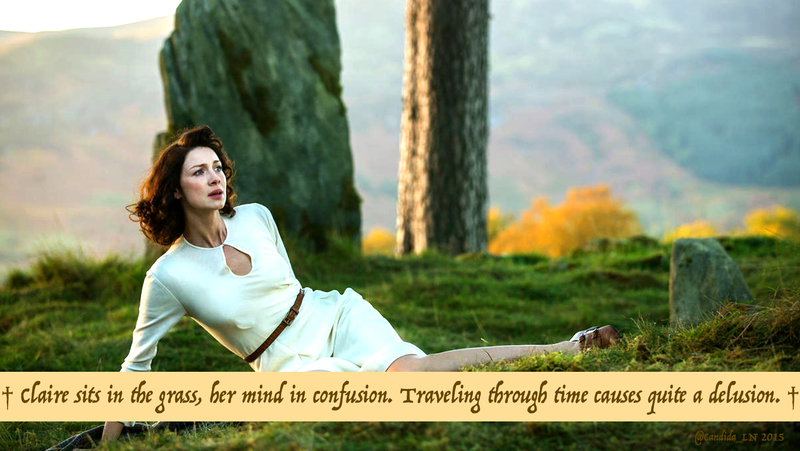 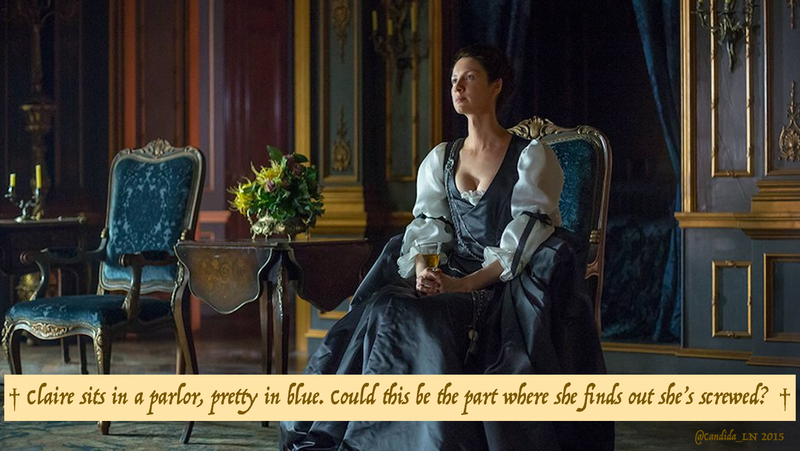 Day 7 of Outlander Starz‘s offerings is a lovely still of Caitriona Balfe as Claire Fraser sitting in a lavish parlor somewhere in Paris . . .
. . . which got me to wondering what she might be thinking. 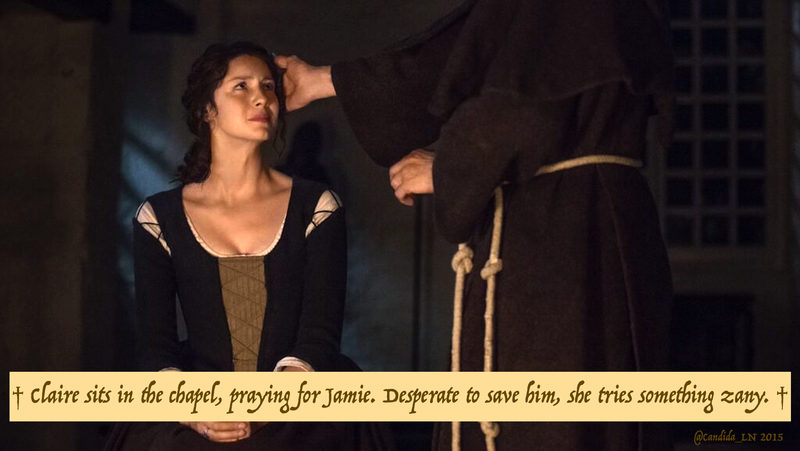 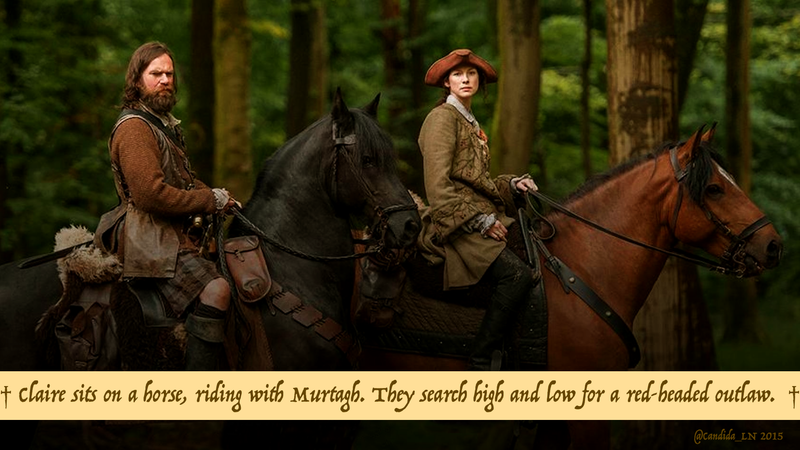 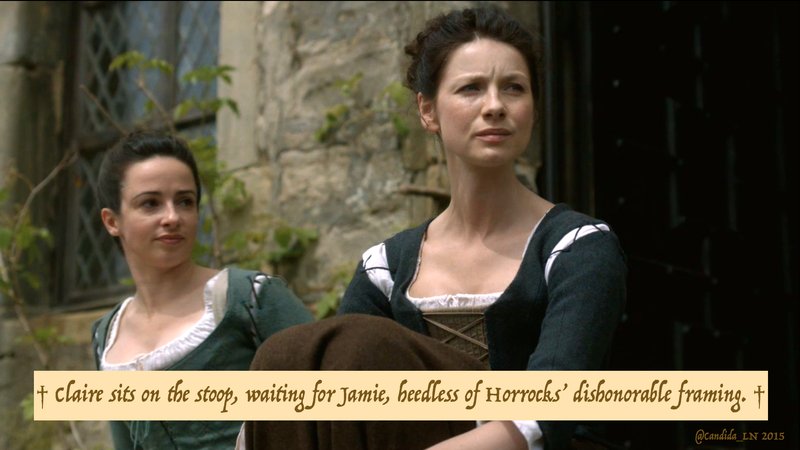 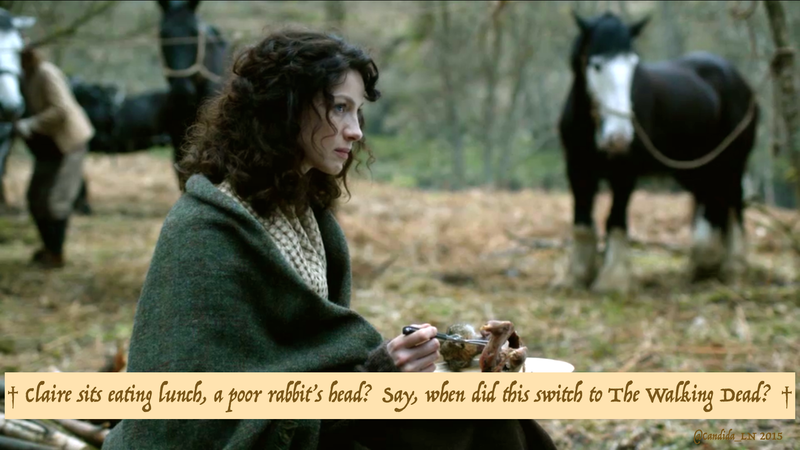 Let’s take a look back throughout Season 1 at some of Claire’s more interesting sit-uations. 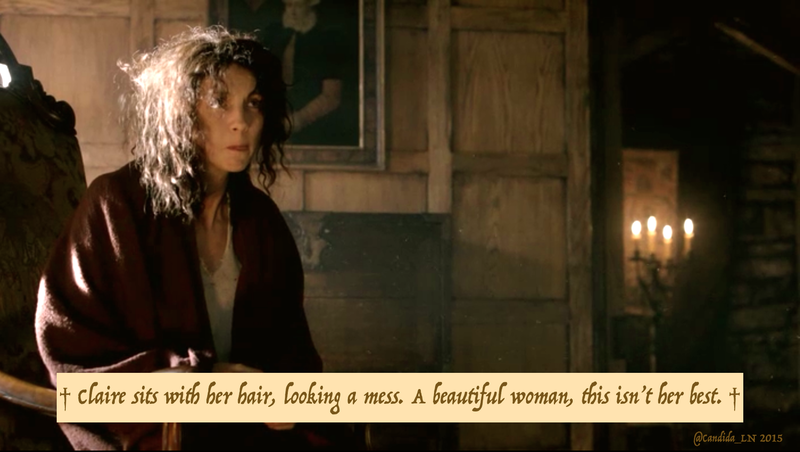 You are wonderful, lass! 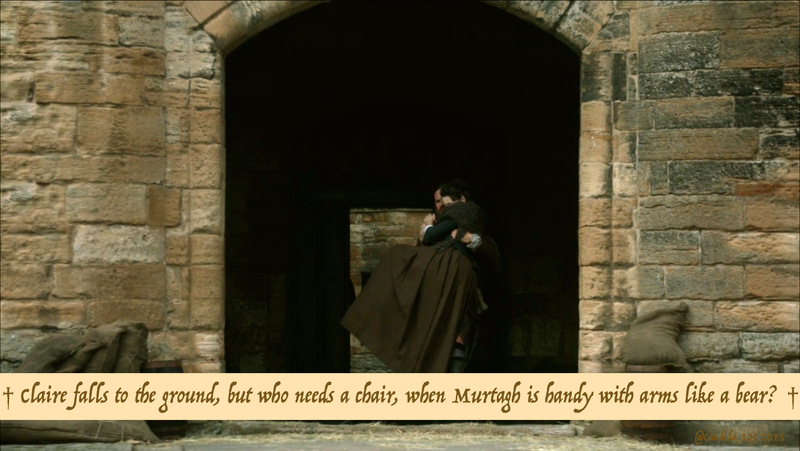 This post is true gold!